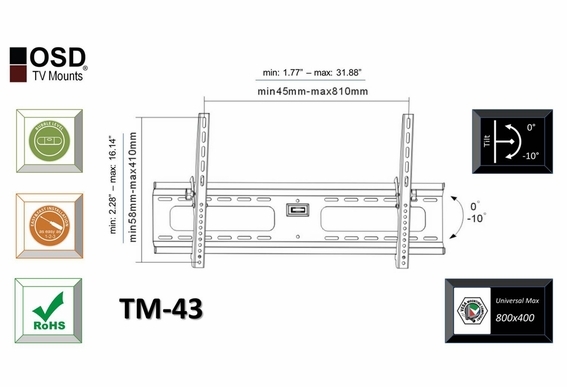 Made with high grade quality, rugged materials, this easy to install tilt mount includes all the mounting hardware you need to get started. 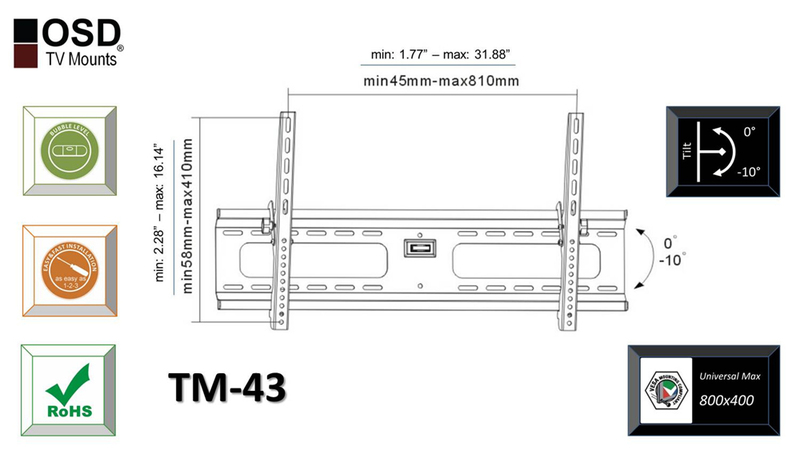 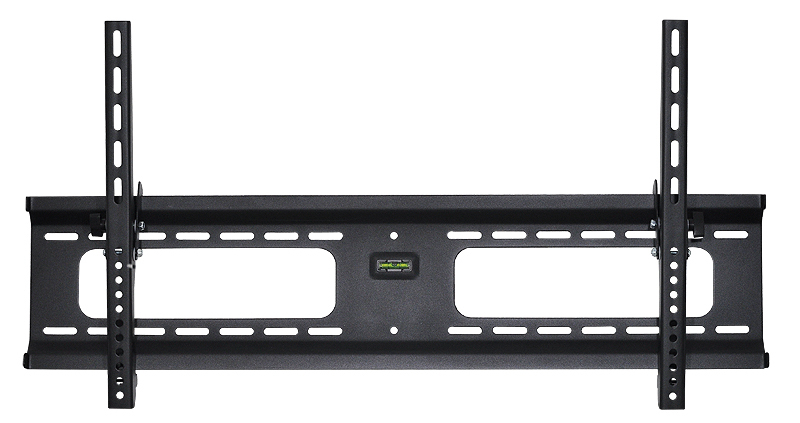 A perfect mount for over the fireplace, the TM-43 tilts 10 degrees down and has a very slim profile. 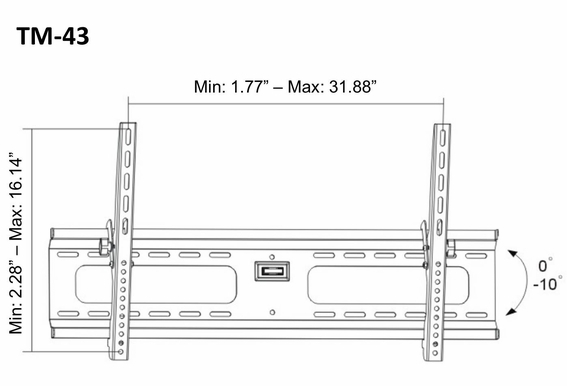 What's the total width of the wall bracket? 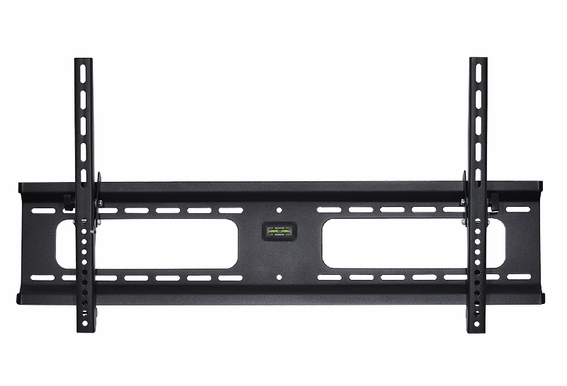 I have a 42" tv so don't want to see the bracket behind. 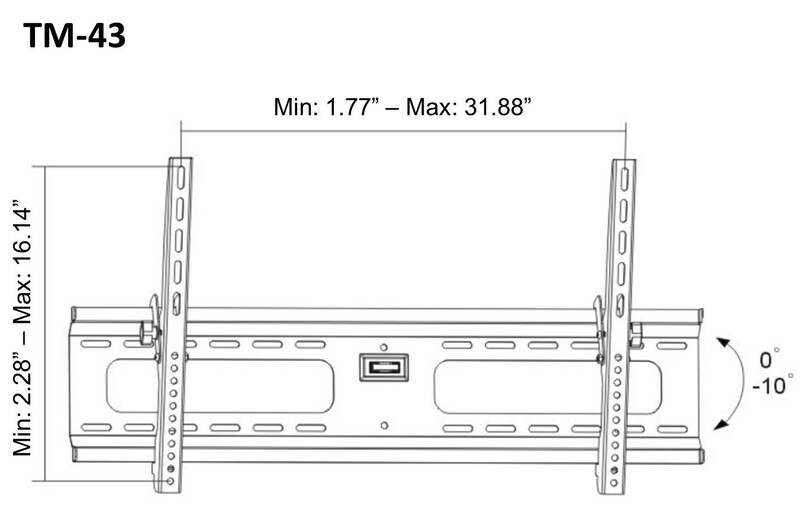 May upgrade to a larger TV later.